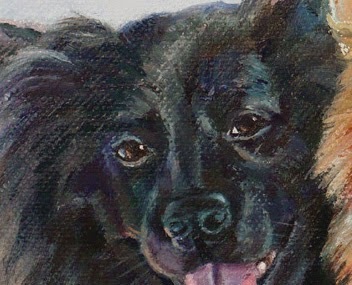 There are two adorable dogs in this oil portrait. 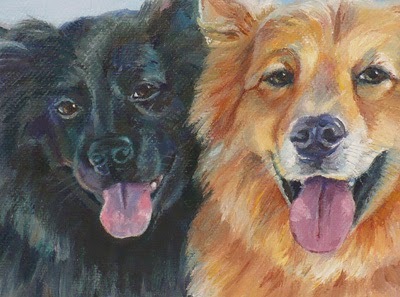 Shadow and Barkley are both Chow mixes, but they look very different. 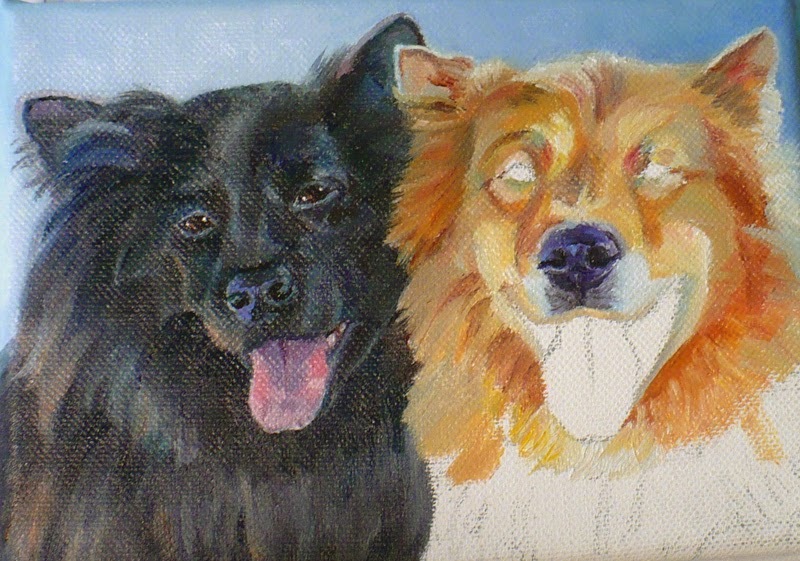 I painted this happy pair on 5x7 inch canvas. 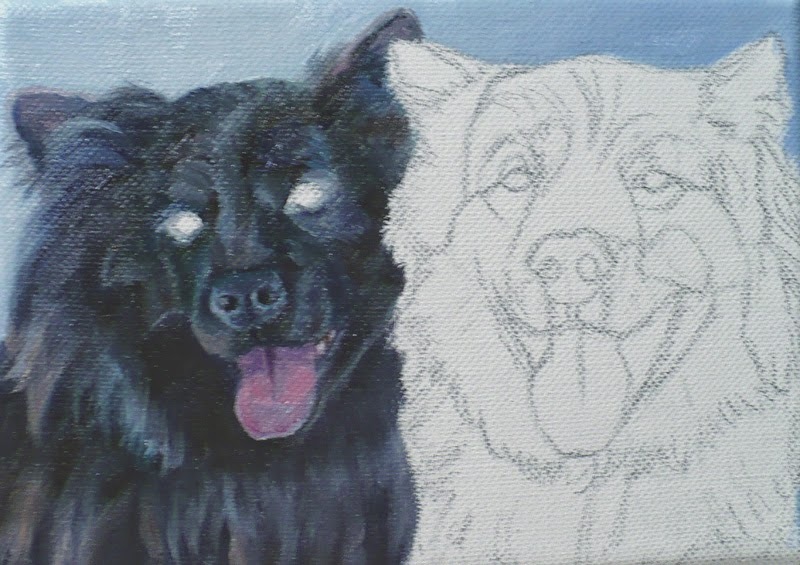 They are two of the five pets I did for a client. 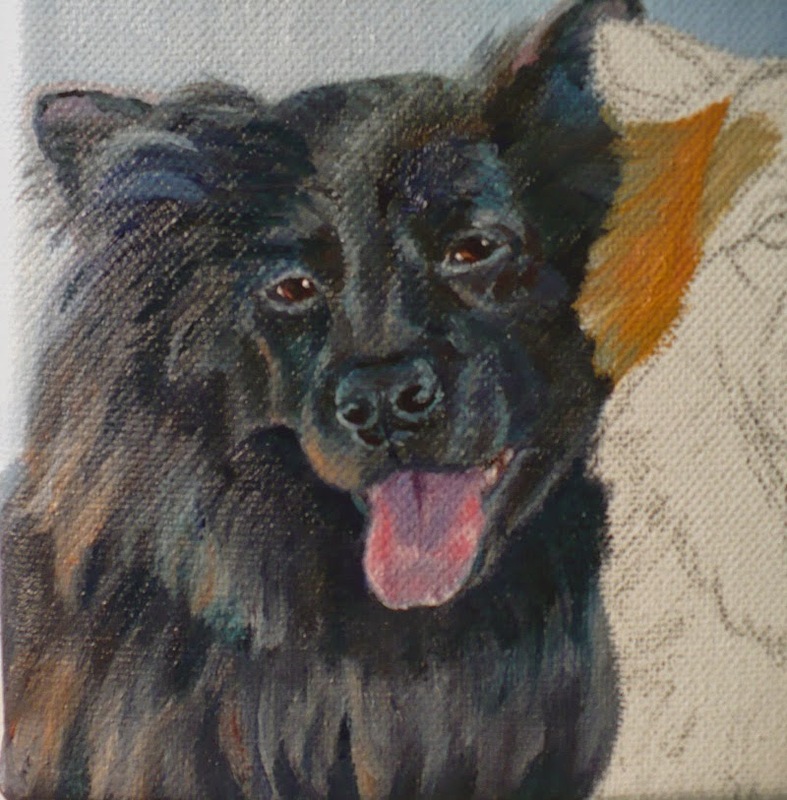 The other three are here: Sam - Leonberger, Lila - Mixed Breed, and George - Whippet. 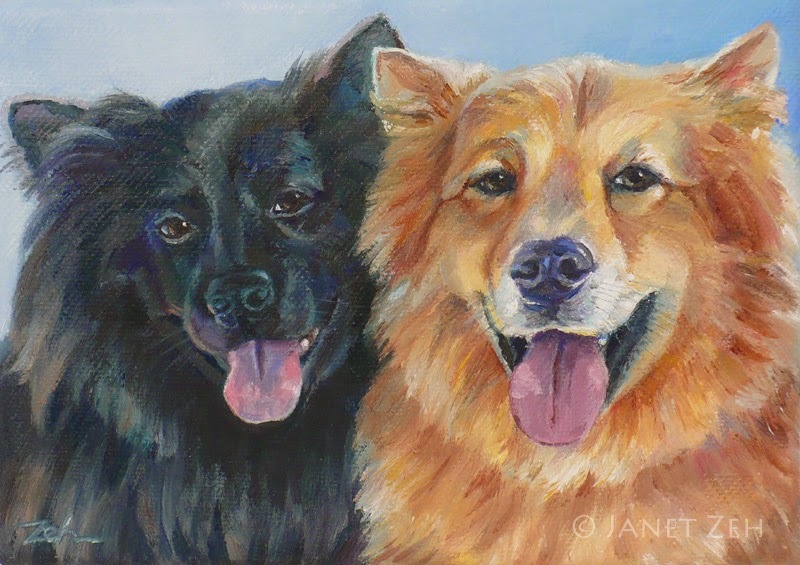 You can see the finished portrait of these two Chow Mixes by clicking here, or keep on reading to see a quick demo of how I painted them. Click images to see them larger. 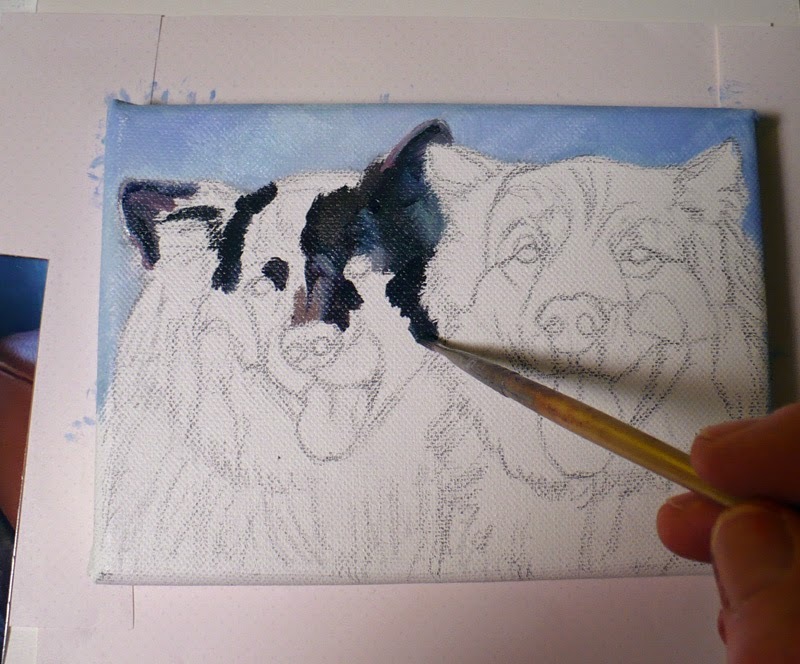 Then the black pupils, some darker shadow and highlights. 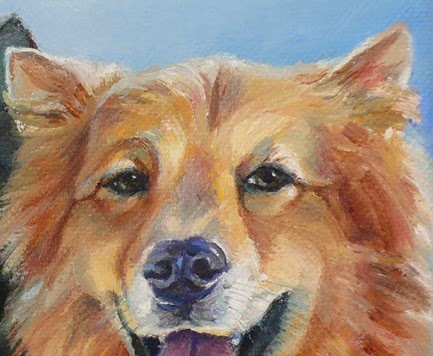 The eyes really make the portrait come alive! Now I fix Shadow's eyes. I make them rounder and more open. Much better! 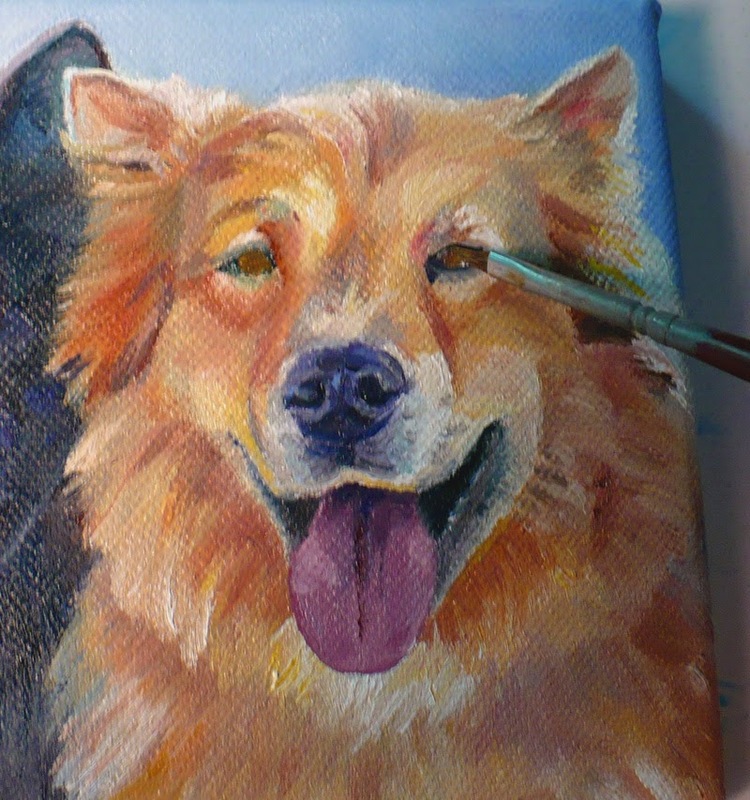 Here is the finished portrait. Aren't they sweet?